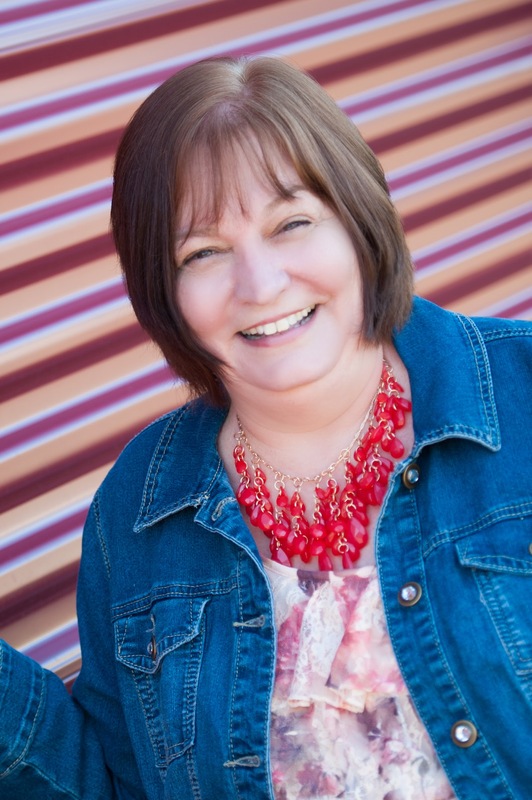 Just as I promised I have invited Carol McAdams Moore to my blog to pick her brain and have a fun giveaway of her devotionals Dare U To Open This Book and Just Sayin’. You can see my reviews here. Carol Welcome to Writer’s Patchwork. After receiving your devotionals to do a review I was so impressed with these delightful books I wanted to have you come and share the how, the why and the inspiration behind these devotionals. So, please ignore the clutter in my office and let’s get started. What kind of adventures have you encountered on your journey to publication? Thank you for having me today, Cindy! I have been on the road to this kind of publication for about 12 years. When I attended my first writers conference (Write-to-Publish in Wheaton, IL), I was unpublished. I soon latched on to the idea of building my experience through writing articles, fillers, and curriculum. Now I attend Write-to-Publish every June. It is more than a writing conference for me. It is kind of a check in time with God to make sure I am following His will for this writing journey. That journey, like any path with God, is definitely an adventure. How did you come up with the idea for these creative devotionals? I teach fourth and fifth graders during the week. Several years ago, I noticed that many of my students came back from the Scholastic Book Fair with books that shared a similar format – something that asked kids a question or gave them a prompt to write or draw about. When I saw how engaged the kids were in the books, I knew that I wanted to write devotionals with the same format. God’s hand was evident in the next step when I contacted Zonderkidz. The editor had been looking at a similar book (Wreck This Journal) and hoped to publish a devo for tweens with the same format. Cute cover don’t you think. What is it about this age group that intrigues you? I love that kids who are 8-12 are confident readers, ready to explore the Bible on their own. It is a critical time (just before junior high). I love to watch kids read the Bible and discover its value for their own lives. What do you hope kids come away with working through these devotionals? It says it right on the back covers – to follow Jesus. Best. Idea. Ever. I love your covers. How did you go about choosing the right ones that would reach out and grab kids attention. Thank you, Cindy! I love the covers, too. They are the work of the awesome design team at Zonderkidz! I have to know—did you work on these book simultaneously or one at a time? At any given step, I worked on one of them at a time. For example, initially I chose the Bible verses for one of them, but if something jumped out at me for the other one I would take a little detour and work on that one for a brief time. Then, I followed that process throughout the publication steps. Do you have plans for more kids devotionals? I am waiting to hear back on several new ideas. Right now, I can’t say more than that. Stay tuned to my blog or my facebook wall for updates! Can you pass on a few tips about writing kids devotionals for those who may have the same passion for kids growing in Christ. I would encourage those who want to write devotionals for kids to spend a lot of time with them. Listen to how they talk. Listen to what they talk about. If at all possible, spend time with kids in different settings. For example, the same child will be different at home, at school, at church, and in the neighborhood. Another thing I would suggest is to make note of what kids are reading. Last, invest in some good writing tools. I use a child’s thesaurus, a children’s disctionary, The Children’s Writer’s Word Book, and the Flip Dictionary to name a few. Great ideas. You really have your hand on the pulse of tweens and it shows in your devotionals. Again, I am waiting to hear back on several new ideas. Besides writing nonfiction, I am working on several fiction ideas. I love to hear from readers! Let’s connect! And for those who don’t win in the drawing where can they order you books. 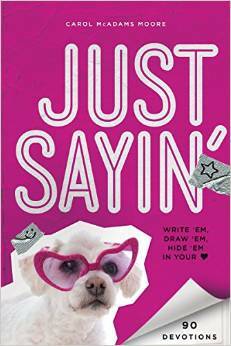 Dare U 2 Open This Book and Just Sayin’ are available at Family Christian Stores, Lifeway Stores, and at Barnes and Noble. Also, future readers (or their parents or grandparents) can order the books on Amazon or directly from Zondervan. Okay, here’s your chance. Leave a comment for Carol about writing devotions, tweens or her writing journey or just tell her you want in the drawing. 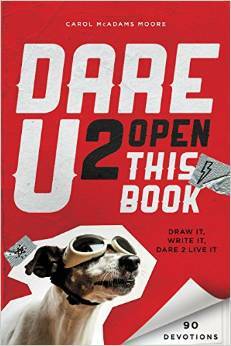 Each name will be entered in a drawing for either Dare U To Open This Book or Just Sayin’. To be eligible for the drawing you must comment on this blog post not my FB page.